Archeological evidence shows that primitive dental implants may have been used by prehistoric people, and records show that in various forms they were in widespread use as early as 600 AD. Yet modern dental implants were only developed in the 1970s, and they did not fully catch on until the 1990s and early 2000s. 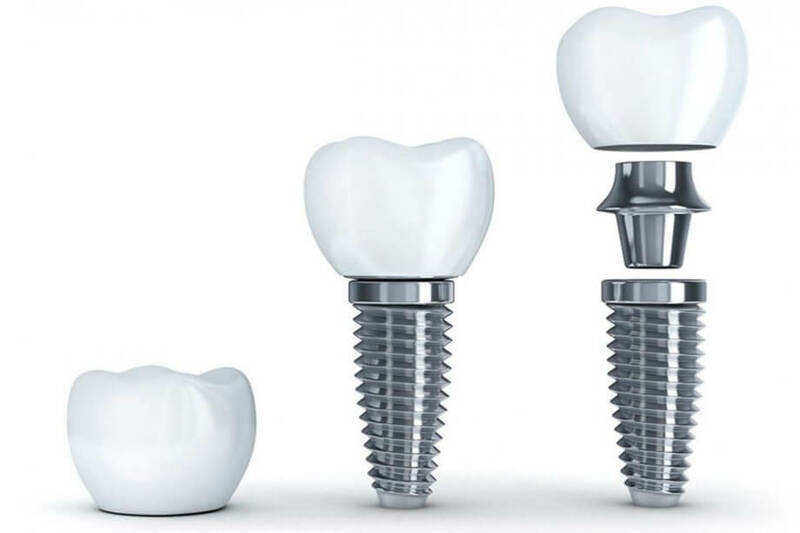 Today, falling prices, improved technology, and increased insurance coverage have made dental implants extraordinarily popular, yet myths and misconceptions are abundant. Here are the facts behind some common dental implant myths. Prices have dropped, but dental implants remain more expensive up front than dentures. However, they are only slightly more expensive than dental bridges, which require healthy teeth to be shaved down and prepared for anchoring crowns. Just a few dental implants can support an entire arch of replacement teeth. They are much more comfortable and aesthetically pleasing than dentures, and they even preserve oral health by reversing jawbone loss. When amortized over a lifetime, dental implants are by far the most affordable alternative. Dentures must be relined every year or two, and both bridges and dentures tend to fail in less than 15 years. With proper care, dental implants can easily last a lifetime. Underlying health conditions such as high blood pressure and diabetes make any surgery riskier, so they should be under tight control before we proceed with dental implant surgery. In addition, if you have oral health conditions such as gum disease or tooth decay, we must treat those issues before we begin. Finally, some patients may require a bone graft due to a lack of sufficient healthy jawbone. Within those parameters though, nearly anyone can become a candidate for dental implants. Dental implant placement is a minor oral surgery, so some discomfort is not unusual. Yet many patients claim that dental implant surgery is far less painful than tooth extraction. With modern surgical procedures and innovative technology, our two skilled and compassionate implantologists can render the procedure virtually pain-free. Although no medical procedure is an automatic success, dental implants have an extremely high success rate. Since the implants are made from biocompatible titanium that is virtually impossible for the body to reject, typical success rates are approximately 95%. An experienced implantologist with patients who faithfully follow all aftercare instructions can achieve a success rate upwards of 98%. If you are ready to start your dental health journey with a highly skilled and compassionate multi-specialty team, contact Midtown Dental Care Associates today at 212.685.4730 to learn more or schedule your first appointment. Welcome to Midtown Dental Care Associates! Service is at the core of everything we do. Our Manhattan dental team works together to provide a warm, comfortable and relaxing environment. Contact us today to request an appointment.